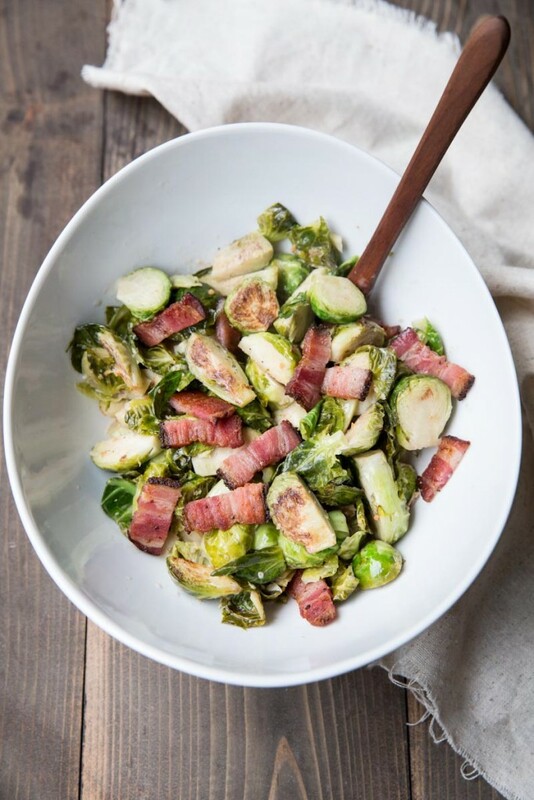 This Brussels Sprout and Bacon Thanksgiving side dish is a new one to be in our holiday mix but one that I know will stay. The recipe is borrowed from our favorite local restaurant, Finca. Thanksgiving is a sacred time for me. 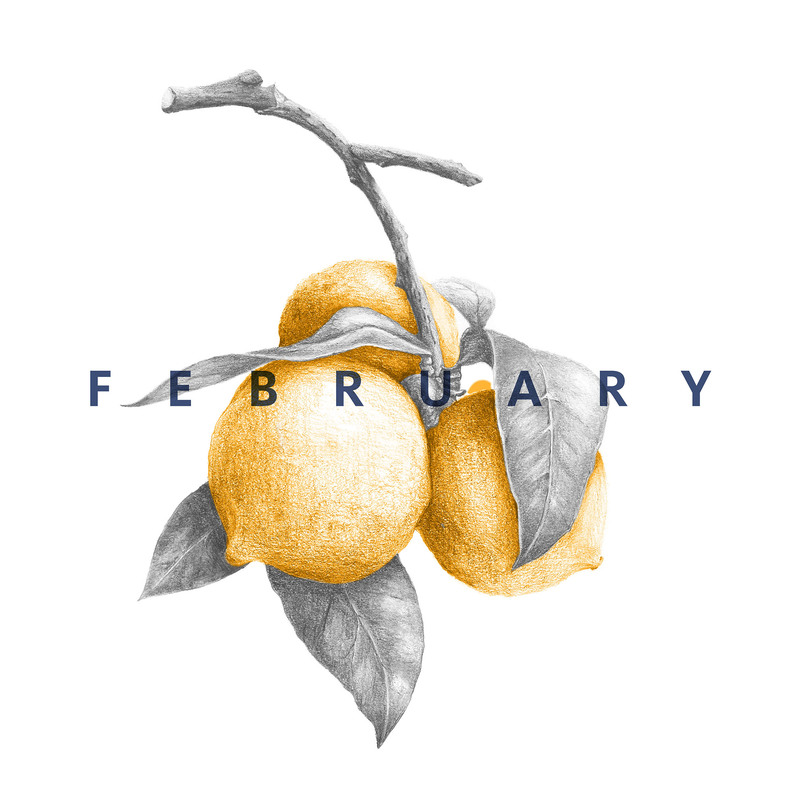 We spend the holiday with close friends and grace our table with some of our favorite foods. We’ve fried our turkey, brined and roasted it, and wrapped one in proscuitto. Our best spreads have more side dishes than number of people at the table. And pies, of course, there are lots of pies and always at least one Chess Pie, or crack pie as some call it, which is a Southern family tradition. To join me in reading Psalms of Gratitude, check out She Reads Truth. 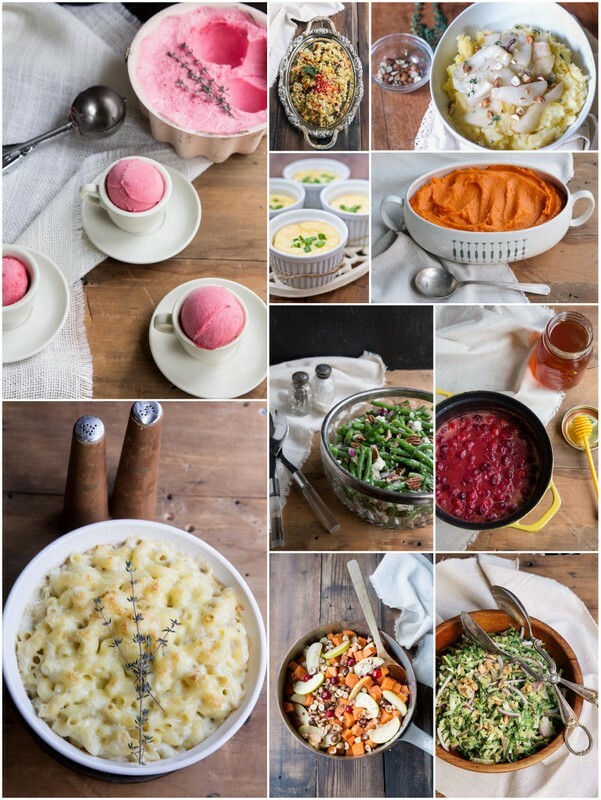 Here are some of our favorite Thanksgiving dishes in case you are still in need of some inspiration. 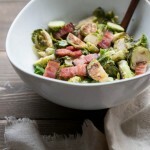 I’ll leave you with our latest favorite Brussels Sprouts and Bacon. 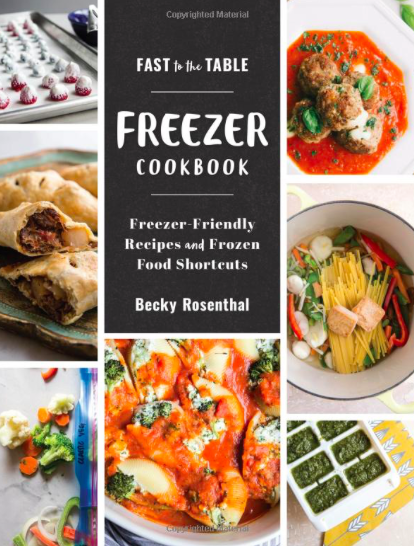 And great news for all of us- this can be made in less than 15 minutes and doesn’t require an oven (if you’re like me and your oven is always occupied during the holidays). My recipe is slightly altered from the recipe at Finca. If you’re looking for the exact Finca recipe, you can find it here: BRUSELAS CON TOCINO. Also, if you’re looking for a place to dine this Thanksgiving, Finca will be open, serving a full buffet. 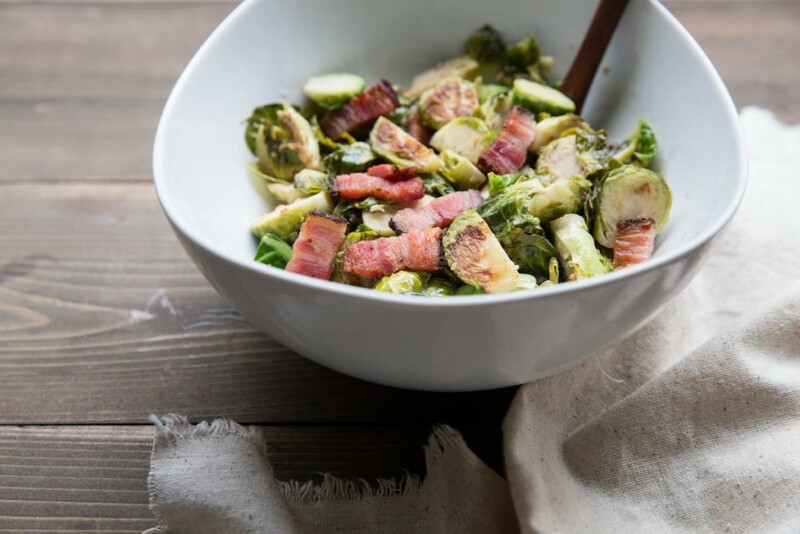 A easy Brussels Sprout recipe with Bacon that only takes 15 minutes to make and doesn't require the oven! This recipe is perfect for holiday gatherings. In a large saute pan, cook bacon over medium heat in olive oil, until fully cooked and reddish-brown in color. Remove bacon from pan, but leave three fourths of the rendered bacon fat in the pan. 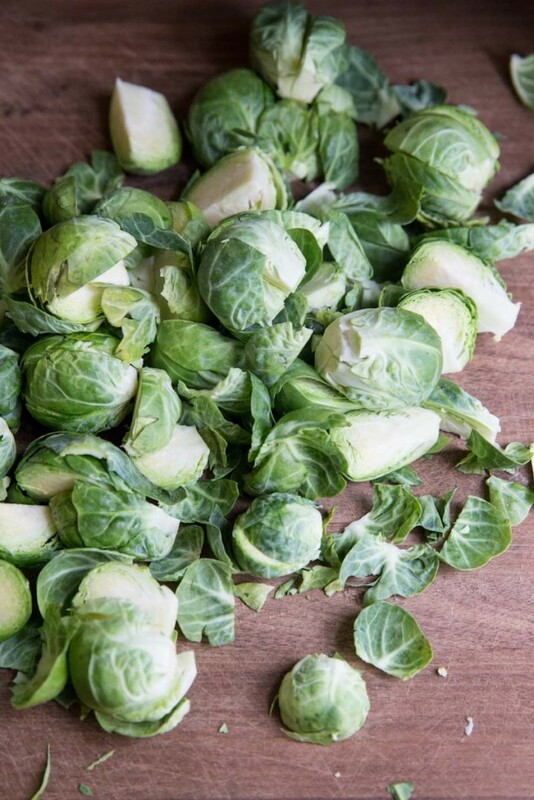 Add quartered Brussels sprouts and sauté in bacon fat, until nicely browned, (4-5 minutes before stirring). Add remaining ingredients and reduce heat to medium low. Continue cooking until Brussels sprouts are tender, and liquid has been reduced to a nice even glaze (5-8 minutes). 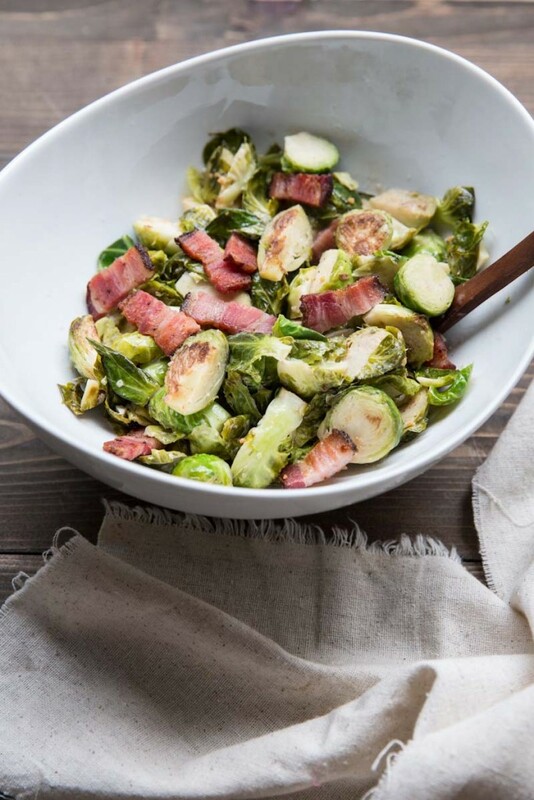 Fold cooked bacon back into sprouts, and season with salt and pepper. What a nice twist on one of my favorite dishes. I’ve not prepared this with cream, but will…forthwith. Two of my favorite things put together! Happy Thanksgiving, Becky!